Many people are unaware that changing locks and rekeying are fundamentally different and can actually save you money. In many cases, you have an expensive lock on your door that you’re not willing to part ways with. Or you lost the keys to your home and want to make sure no one else has access to it. Luckily, there is a much simpler way than just changing your locks all together. 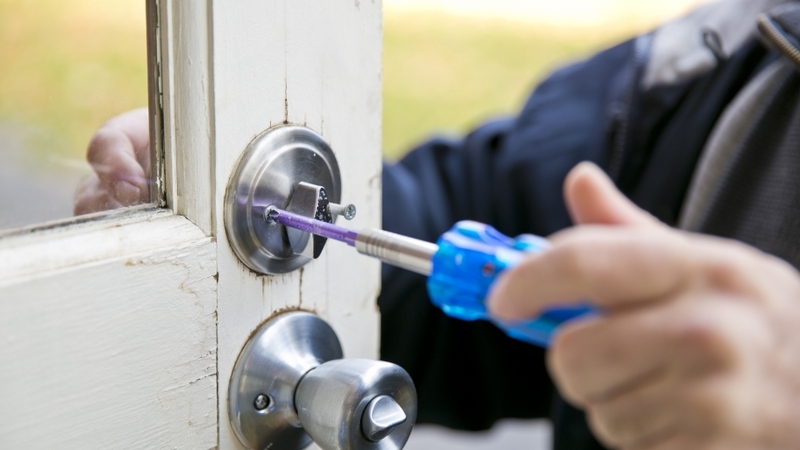 Rekeying is a simple procedure done by a professional locksmith that takes only a few minutes if done correctly. 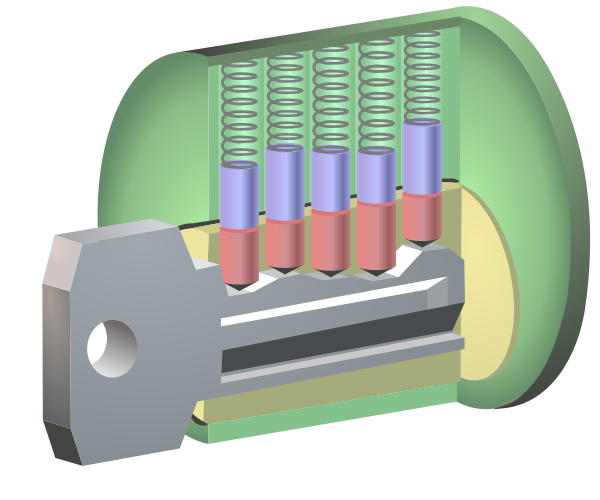 The process is done by removing the cylinder from your current lock. Next, you change the pins/ tumblers by removing the whole lock from your door and replacing the five old pins with five new ones. By performing a rekey on your door, you should be aware that the current key you have will no longer work for your lock since the pins will be changed. Next, the locksmith changes the pins by properly choosing their correct size and knowing the key depth. Additionally, a keycoder helps him/her determine which pins to use. The same rekey can be done on all your locks to the same key if they are all the same brand of lock or if they have a similar mechanism. Rekeying your current lock will save you a good deal of money rather than changing it all together and give you some peace of mind knowing no one else has a copy of your brand-new keys. The difference between changing your locks and performing a rekey is that instead of removing the entire lock itself, you would simply be removing the cylinder and changing the pins. A lock change comes in a variety of customization options like size, color, brand, and style. For safety purposes, many home owners like to change their locks for reasons such as restricting old owners from having access to their home and also wanting to upgrade their old lock to a more modern or higher security lock. Pricing may vary on the style you decide to get like upgrading from a traditional lock to a smart lock. When choosing your own locks, you have the option to go out and pick them yourself or have the technician provide you with one for a small fee including the labor. You like the lock but want new keys. Limiting access to your home. You want to change all your locks to one key. Always keep in mind that a professional locksmith is your best choice. This is because, if you try to change locks or rekey the door yourself but do it incorrectly. You could damage the lock or ruin it all together and it could boost the price up significantly. Every lock is different, which means that every process will be different and require a strategy by an experienced professional. If you’re undecided on rekeying or changing your lock for any reason, give ASAP Locksmith a call at (818) 550-5625. This entry was posted in General, Locksmith Articles. Bookmark the permalink.